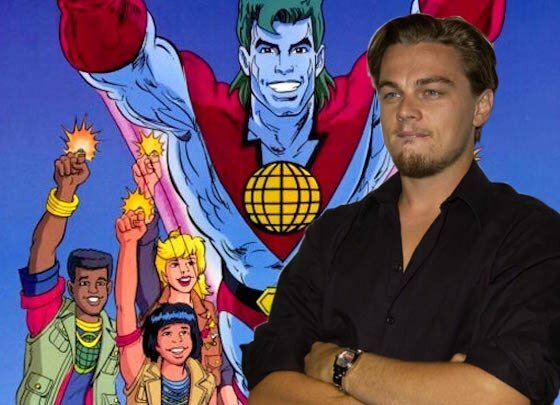 Oscar-winning vape lord Leonardo DiCaprio has spent much of his recent time speaking out about environmental issues, and now he'll channel that passion into a new reboot project by recycling, renewing and reusing the Captain Planet franchise. As The Hollywood Reporter explains, the eco-conscious ​'90s cartoon show has been optioned for a new motion picture from DiCaprio's Appian Way production company. The company is currently in negotiations with Scream Queens/Everybody Wants Some!! star Glen Powell to write a script. It's unclear whether or not he would also star in the film. Rather than a goofy reboot, sources close to the project suggest this could be a tongue-in-cheek revamp along the lines of 21 Jump Street. Apparently the film version will see Captain Planet as a present-day, washed-up former super hero. Stay tuned for more information on the Captain Planet reboot as it becomes available.